I love working at Sumo Logic – for lots of reasons. The culture is amazing, and the people are fun, but what I really love is blowing my customers’ minds. I have already blogged about our scalability – and you can read that here – but this time I want to talk about fast you can get up and running with Sumo Logic. Last week, I put together a slide deck highlighting how a partner of ours won a deal at a major financial institution, and in it, I mentioned that one of the value drivers was that we could be up and running in 15 minutes. I admit, it seems like a throwaway line, and if you are technical, well… you are probably going to question that. Sure enough, as the presentation made the rounds at our partner, their CTO started poking and prodding on that. How can we possibly have a customer up and running in 15 minutes? There are lots of reasons for this. First, Sumo Logic is a true SaaS service. When you sign up for the service online, your account is created in seconds and you are ready to start bringing in data. And yes, this is the same, highly secure, highly redundant environment that all of our customers use – from the smallest to the largest. So, we can have the environment ready in well under 15 minutes. But when I said “up and running”, I meant up and running, and analyzing your own data. How do we do this? Magic! Well… Wizards anyway. 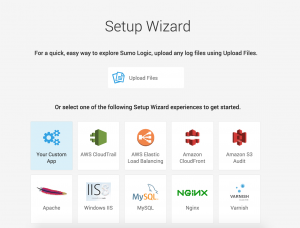 Our UX team and our engineers have been working tirelessly on creating Wizards to help you get your data in to Sumo Logic quickly and easily. Have a single file to upload? We can do that in a couple minutes. Want your AWS logs? That’s even faster. Need to install a collector on your server to collect the logs for a critical app while sitting on an airplane at 34,000 feet? 8 minutes. Wait… what? Yeah, that last one was pretty specific. While contemplating this Blog, I thought I should run through ingesting data myself, just to make sure we could do it as quickly as I thought. The thing is, I was sitting on a plane, 34,000 feet over the Nevada desert. Internet on planes is always a little spotty, but I decided to give it a shot anyway. Using our Onboarding Wizard, I went through the process of collecting some log data from my Macbook Pro. 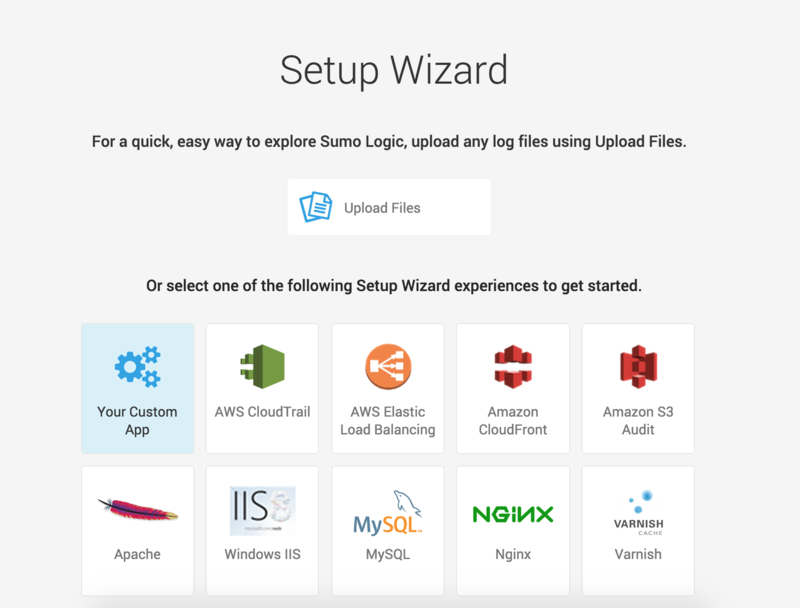 The wizard is really easy to use, and took me through the process step-by-step – from downloading and installing the collector, to selecting the logs I wanted to ingest. 8 minutes later I was searching the logs, and looking at dashboards. I even recorded this for posterity. I did all of this from the comfort of seat 7F. ***UPDATE*** After I wrote this Blog, we released an enhancement to our Wizards - now we make it even easier, with Intelligent Path Detection so that users do not have to manually type in path expressions for common sources like Apache, Linux and Mac systems, etc., and a redesigned experience for setting up streaming sources with new supported data types including HTTP, Syslog, Cisco ASA, Palo Alto Network, Linux system, Mac system, Windows Events, and Windows Performance. Another benefit of working for a true SaaS company - releases come fast and furious, and all of our customers get the benefit of these updates the minute they are released!